Whistleblowers say patients with broken legs, arms and other serious orthopaedic conditions are being sent home in the Free State because the buckling health system is simply unable to cope with the numbers. Health workers are told there is no money to bring in outside help to reduce the waiting lists. 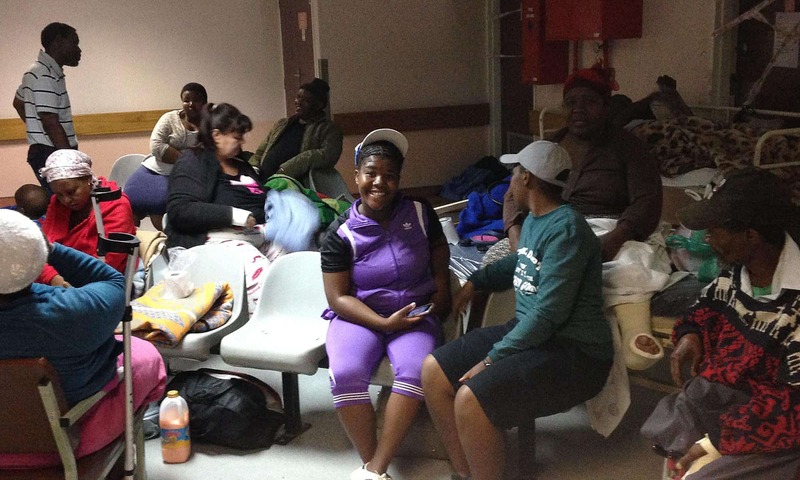 A week ago, when a team of outside health workers were paid to work a weekend at Bloemfontein’s Pelonomi Hospital in an attempt to reduce the waiting list, at least 40 patients were sent home because there was simply no capacity to get to them. with well-meaning doctors assuring them that their surgery was imminent, only to be told that you will no longer be operated on and that this means you bones will no re-attach properly or that your ankle will remain partially dislocated,” said a health worker, who asked to remain anonymous for fear of reprisals. What was more disturbing for the health workers who spoke to Spotlight was the fact that last year there was millions to run a dodgy, illegal stem cell practice in the Pelonomi orthopaedics department, but there was no money to bring in extra health workers to reduce the waiting list. “It simply cannot continue like this, patients wait for 40 days for simple, straightforward treatment for fractures. Their lives are destroyed, it is an untenable situation,” said a doctor. Spotlight reported towards the end of last year that illegal stem cell experimental treatment was being provided at Pelonomi Hospital, a state hospital in Bloemfontein. The issue was also investigated by Carte Blanche who produced an insert. Shortly after SECTION27 and the Treatment Action Campaign brought details of the Regenesis project to the attention of the national Director-General of Health Precious Matsoso, the Medicines Control Council (MCC) suspended the unlawful stem cell experimentation at Pelonomi. At the same time the Free State Department of Health cancelled its contract with the stem cell company, ReGenesis Biotechnologies following a list of questions sent by Spotlight in connection with the involvement of controversial Health MEC Dr Benny Malakoane. Before the expose, the Free State department of Health was set to spend tens of millions of Rands on unproven and potentially dangerous stem cell therapies for the treatment of musculoskeletal diseases in its orthopaedic knee patients at two hospitals. The treatment was run by a private company called ReGenesis Biotechnologies and has started on June 1, 2016. A service level contract (seen by Spotlight) between the Free State Department of Health and ReGenesis Biotechnologies indicated that the service would be provided in Pelonomi hospital in Bloemfontein and Boitumelo hospital in Kroonstad. The department would pay R30 000 per client, with a guaranteed supply of one thousand patients per year. This adds up to R30-million per year and R90-million over the three years of the contract. She said the informed consent documents referred to the patients giving permission for stem cell therapy, permission for stem cells to be removed, concentrated and re-injected and for their stem cells to be given to another person. The contract at the time stated that the Free State Department of Health and ReGenesis would establish a project management committee consisting of the MEC of Health as Chairperson as well as the CEOs of Pelonomi and Boitumelo hospitals, COOs and representatives from ReGenesis. It reveals that the committee shall meet monthly for the duration of the Agreement to “track progress, resolve pertinent matters to the effective and seamless treatment of patients”. Days after the revelations Free State Premier Ace Magashule reshuffled his Cabinet and Malakoane was shifted from health. Since then, Spotlight have sent questions to the MECs spokespeople and the Premier’s people. All these attempts have elicited zero responses. It is crucial to understand where this case is, has there been an investigation, what are the findings, will anyone be charged, was Malakoane due to benefit from this contract, were proper tender procedures followed, and so on. A well-placed source in the Free State has shared a list of names of relevant persons who needs to be investigated. 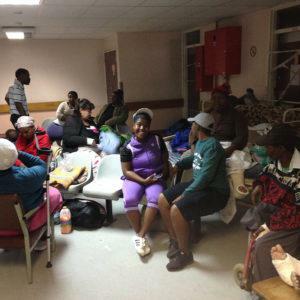 They include hospital CEOs who allegedly participated in the scheme, hospital managers who requested the waiting lists and who contacted the patients, doctors and their secretaries who played a key role in running this scheme, a doctor who reportedly gave instructions for the order forms to go through, an individual who gave the financial permissions and two heads at Bophelo House (health department head office) who were involved. A Bloemfontein doctor said they were aware of patients who suffered due to this treatment, with reports of some dying. Gouws said they were in no position to advise on the status of the police investigation. She also confirmed that the MCC had reported Stander to the Health Professions Council of South Africa (HPCSA). At the time of going to print, the HPCSA had not responded to queries requesting an update on the charges. the province are in a state of collapse with a running surgery waiting list at Pelonomi Hospital of over 130 patients (excluding those who have lost faith, packed up and returned home, despite the consequences), on most days. There are adults with trauma fractures, children with broken limbs and elderly patients with fractured hips. They are lying in overflowing hospital beds and in the passageways on trolleys and on the floor (see photos). A health worker said that young doctors are facing abuse from frustrated patients who are in limbo, waiting for surgery which does not happen. This is not the first time the province has faced this problem. In the past the province has been able to reduce the waiting lists significantly by buying in locums at a cost of about R6-million per annum. This is small change compared to what the province was prepared to fork out for the illegal and dangerous Regenesis project. The domino effect of long waiting lists for orthopaedics is more complications, septic bed sores for the elderly, children left disabled and adults losing their jobs. A doctor explained that Pelonomi is facing increasing pressure as peripheral hospitals no longer have skilled specialists to do the surgery. The hospital is also taking in referrals from the Northern Cape and Lesotho. Sources allege that the hospital CEO, Ms Ramadula (a nursing sister) is not disclosing the current state of affairs to the provincial government for fear of reprisals. “Hospital management are misleading their heads who in turn mislead the national Director-General, who because of incorrect information, misleads the national health minister,” a health worker added. Dr Wian Stander, the controversial owner of Regenesis, the company that entered into a questionable partnership with the Free State Department of Health to conduct unlawful stem cell experimentation at Pelonomi hospital in Bloemfontein is still practicing and active. This is despite charges with the South African Police Services and the Health Professions Council of South Africa. She also confirmed that the MCC had reported Stander to the Health Professions Council of South Africa (HPCSA). Calls made by Spotlight to Stander’s Integrated Medical Centre in Bryanston and his Slimming Clinic in Pretoria were unsuccessful. Both landline numbers were not working, even though the websites advertising everything from weight loss to integrative cancer treatment, botox and the sale of vitamins were still live. A further search found a GP practice in Pretoria where a woman answered stating that it was the rooms of Dr Stander. She said he only consulted at this Pretoria practice on Tuesday. She indicated that he consulted at the Centre of Advanced Medicine in Sandton every second Wednesday. Stander’s active Facebook page reveals that he has among others been a speaker at a business breakfast in the Free State. He continues to share events linked to his slimming clinic which has the same address as the Centre of Advanced Medicine. A further search on the Centre of Advance Medicine website (a practice with various specialists listed), links to Regenerative Medicine which in turn links to a ReGenesis page. A search also reveals that ReGenesis continues to be a co-sponsor in a popular train run series in and around Bloemfontein. Previous PostPrevious What is the state of the global HIV and TB response in December 2017? Next PostNext Spotlight Issue 4 is out today!